Photo by Cindy Ord/Getty Images for Brides. Models pose with designer Rachel Zoe (2nd L) as Brides and Rachel Zoe celebrate Rachel Zoe's Bridal launch. Photo by Cindy Ord/Getty Images for Brides. Hair & Makeup by Melissa Formica. Press play! Behind the scenes from Gina's wedding day. Hair and Makeup by Melissa Formica. Laura and I getting ready for her wedding day. 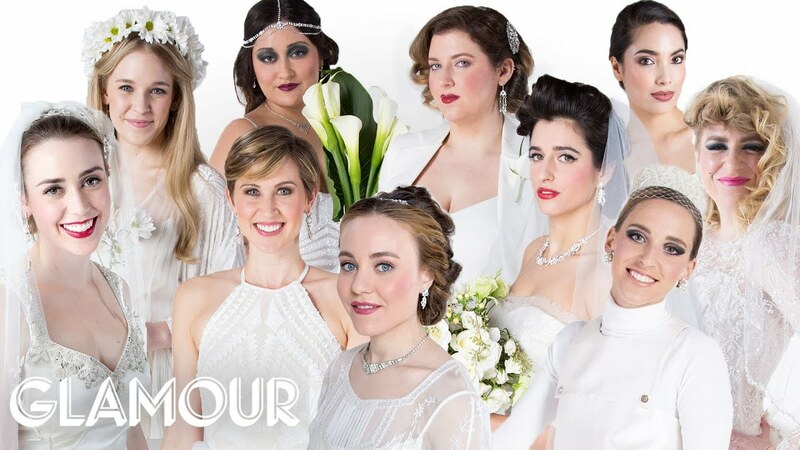 Glamour Magazine's 100 years of Bridal Style in 3 mins! All hair by Melissa Formica. Caroline and her bridal party. All hair and makeup by Melissa Formica. Erica and her mother on her special day.